One must have when we go camping is proper preparation! Going camping with 6 of us is no small feat and being organized makes the trip a success. 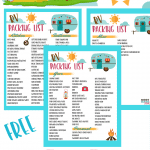 I already shared my free printable RV packing list with you and showed you how we did our RV makeover, now you get my favorite organization tool for our food preparation. 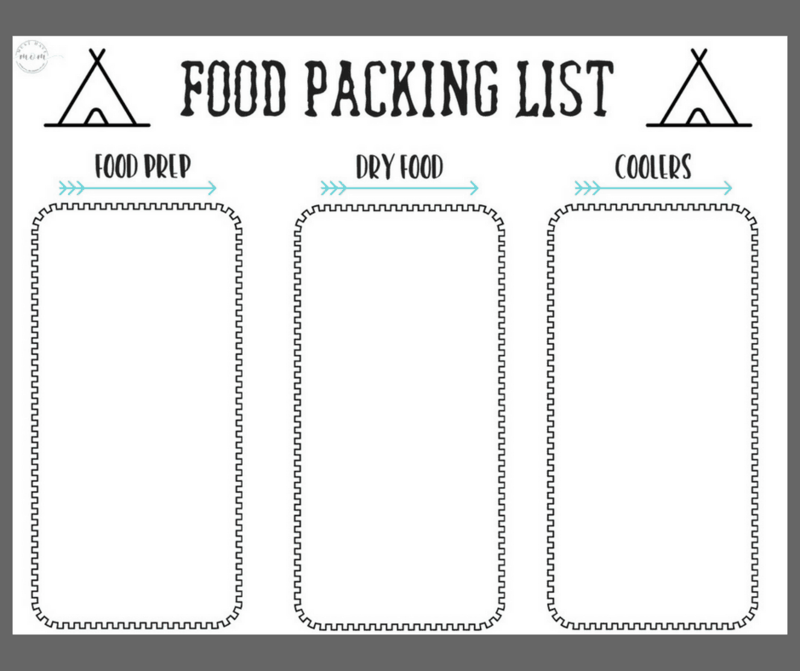 Before every camping trip I plan out what meals we will eat on this handy camping food list. This allows me to always have the necessary ingredients on hand and to be able to do all my food prep ahead of time. That means more time spent relaxing and less time spent wondering what we will eat for dinner that night. I can just glance at the Camp Meal Plan, pick a meal and it’s all ready to go! When making your camping food list for your camp meal plan, make sure you pick meals that are easy to make, have similar ingredients (so you can easily prep them all) and that are quick cleanup. 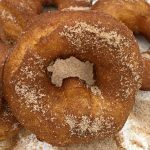 Some of our favorites are tin foil packet dinners cooked in the campfire, campfire donuts and grilling recipes. They all make for easy cooking and clean up. Before we leave I cut up all the veggies, fruit, etc. I prep the meat by cutting it and marinating it. This way I cut down on dishes and prep time while I’d rather be relaxing. 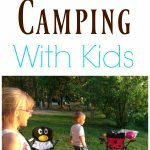 I use my food packing list to organize my camping food list by what items need to be prepped, what items need to be packed from the pantry and what items need to be packed in a cooler. This is SO helpful when packing the food. I never forget if I packed cooking oil or potatoes again! Before you leave do all of the food prep and pack it into zip top bags. I prep each meal and label it together in a bag. For example, if making steak kabobs I will dice the steak up in chunks and marinate it in a zip top gallon size bag. I then cut up the veggies and onion and put those in a separate bag. I label them “steak kabobs” and put them in the RV fridge. Now that meal is all ready to be put on skewers and grilled. I repeat this with each meal. Your camping food list should also include snacks and beverages. This is a great way to get an overall look at what is available to eat. 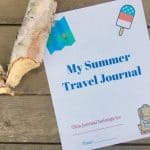 I tape my Camp Meal Plan on the cupboard in the camper and my family can easily see what snacks are packed in the cupboards and fridge and which drinks they can choose from. No more digging around! I love the organization and it really is quick and easy to be organized. It saves time and money. Good Morning! 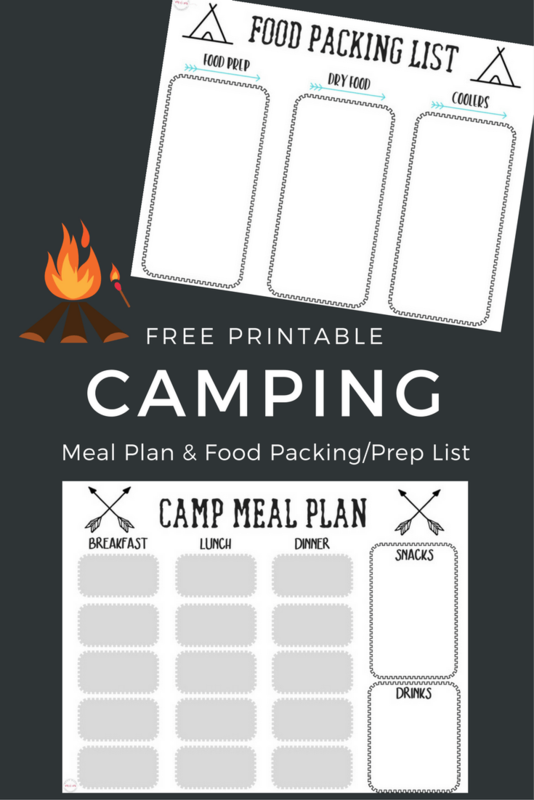 I love this camping meal plan and food prep list- any chance we can get this in Word or Power Point so I can edit and add to it and save it each trip>? Hi Shannon! I’m glad you love the camping meal plan. I looked at converting it and because of how I created it, I am unable to convert it to word or power point. I designed it with the idea in mind that it would be printed and written on. Sorry I couldn’t convert it for you!